Plenty of high school seniors are hearing they should aim high in their life ambitions as they receive diplomas over the next few weeks. Nineteen graduates in central Indiana are already well along that road, setting their sights on high-tech careers in advanced manufacturing with a head start from the hands-on Integrated Technology Education Program (ITEP). 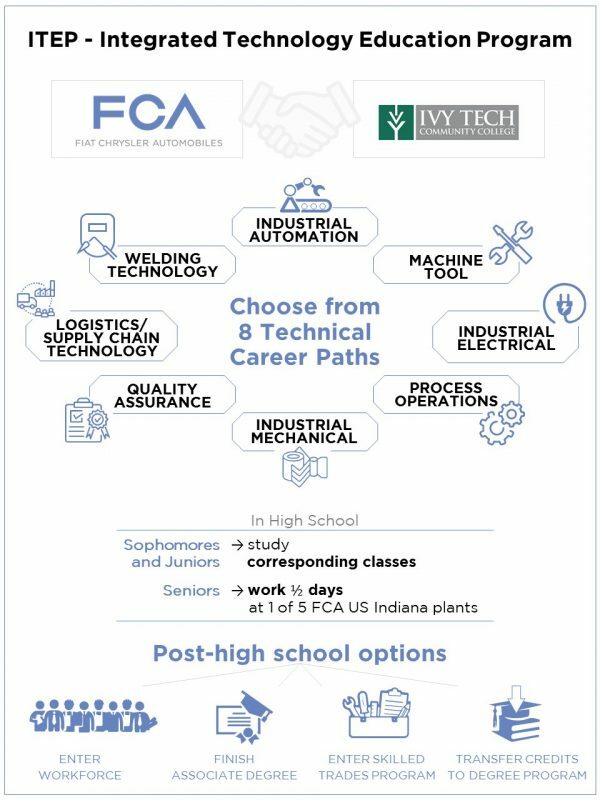 For the past four years, FCA US and partner Ivy Tech Community College in Kokomo, Indiana, have collaborated on ITEP. High school students participate at no cost while taking college-level courses and earning nationally recognized credits and certifications. The program is funded by a $3.2 million federal grant through the Youth CareerConnect program of the U.S. Departments of Labor and Education, along with financial and in-kind support from participating businesses and schools. Nine Indiana high schools and three career technical education centers participate, along with 33 other companies. Since 2016, FCA US has doubled the number of students it sponsors through 12-week work-study opportunities each spring and hopes to continue growing each year. 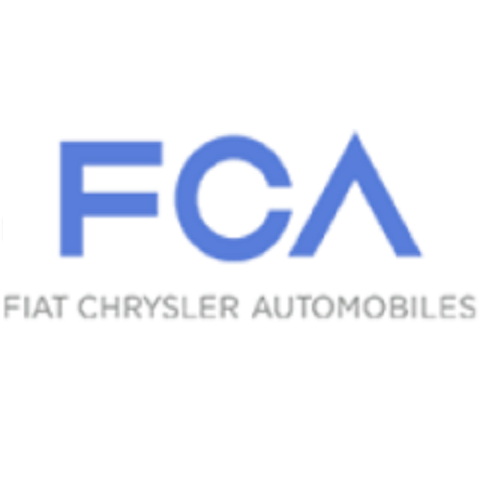 This summer, four ITEP graduates, who started the program as high school sophomores and are now in college, will work as summer interns at one of the five FCA US facilities in Indiana. They are among 75 interns who will be involved in manufacturing the advanced eight- and nine-speed transmissions that help vehicle owners save fuel and reduce CO2 emissions, as well as the casting of several components for multiple engine and transmission variations. Today, these high school students bask in the excitement of getting their diplomas. In the future, they may be celebrating playing a key role in the advancement in high-tech manufacturing.